Breathing new life into old buildings is one of the great joys of office refurbishment. There’s something incredible about turning spaces once designed for warehouses and factories into modern office spaces. Don't dispair if you've just signed the lease for a new office space - there's plenty of industrial inspiration that can transform modern spaces, too. Whilst Google has recently moved their California offices into their own converted aircraft hangar, formerly home to the famous ‘Spruce Goose’, they’re not the first to recognise the appeal of transforming former industrial buildings into new office space. 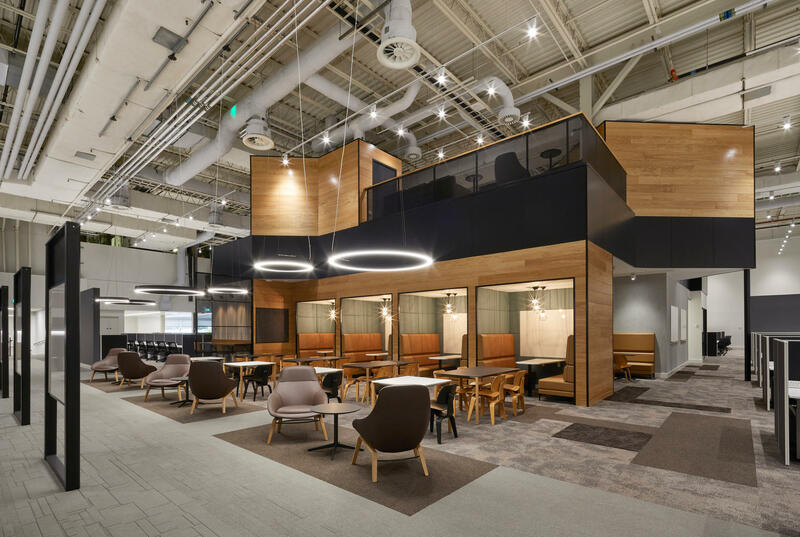 A recent international study by JLL and Hawkins\Brown calls refurbished industrial spaces ‘the future of the workplace’, sighting their volume, versatility and value as the winning formula for today’s creative businesses. In the UK, refurbishing old industrial buildings presents a great opportunity for creating inspiring, and often more affordable workspaces. They also often lend inspiration to the modern office designs of their new tenants, pushing the boundaries of what you could expect from your typical office space. Take a look at these office fit outs across the UK and see how these industrial spaces have been transformed into modern offices. 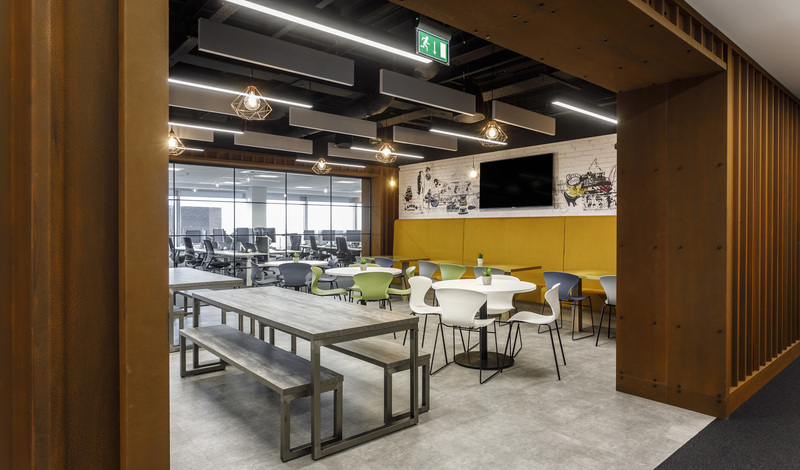 Versatility is a key feature of industrial office fit outs, and for a business like DXC Technology, this was a great reason to choose a former warehouse to house their new HQ. The open space with double height ceilings provides a brilliant blank canvas for their versatile new workspace. These expansive spaces can be adapted and changed over time with additional partitions to future-proof the office. Large spaces and a variety of areas also encourages movement - which has proven cognitive and physical benefits. A converted underground banking vault and basement provided the perfect backdrop for RocketSpace’s latest co-working space. This cool space benefits from double-height ceilings in the basement that allowed them to double the volume of the space by adding a new mezzanine level. By making structural alterations, the people capacity in the basement increased from 60 to 500 people, through adapting the space to include a 140-seat auditorium, a café and workspace. In addition, the exposed services and industrial surfaces give the workplace an unfinished feel – which perfectly reflects the North London surroundings in Angel. 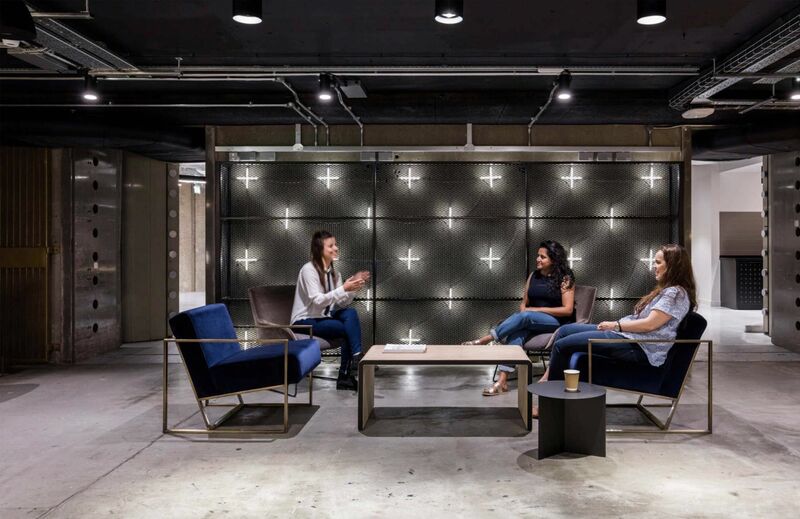 At MyProtein, this cool breakout space uses elements of industrial design to create an edgy workspace with an urban feel. 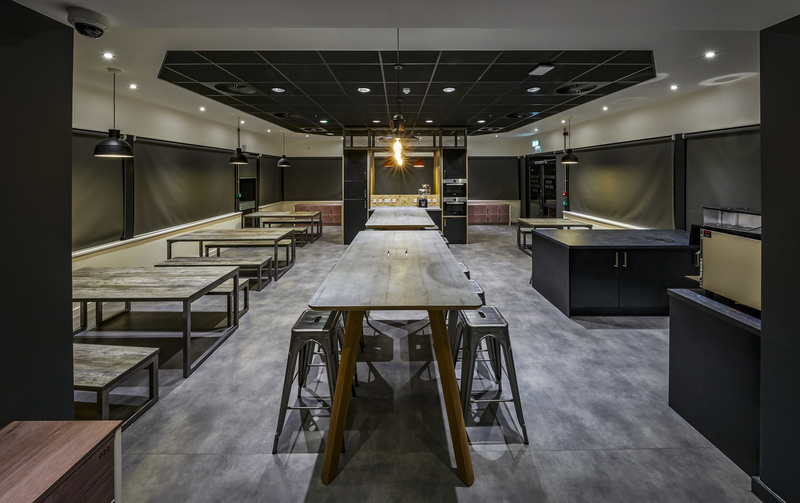 Unfinished surfaces are key to creating that industrial look, so this chipboard tea-point, bleached wood benches and concrete flooring provide the aesthetics required to complete the look. After all, it's the perfect place for people to come together over a meal. Arup’s privileged position overlooking Liverpool’s historic dockyards was an important source of inspiration for their industrial-inspired office space. The workspace features large open areas, rustic wood finishes, industrial piping, as well as exposed services in the ceilings. This breakout space is designed to imitate a shipping container complete with riveted rust-look panelling and concrete flooring. This creative interpretation of their historic surroundings is a great way to inspire their staff to think creatively for tomorrow.